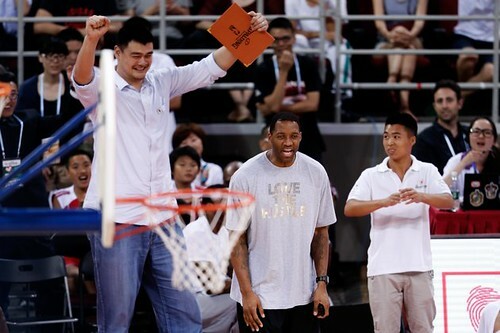 Yao was pretty busy a few days ago in China. 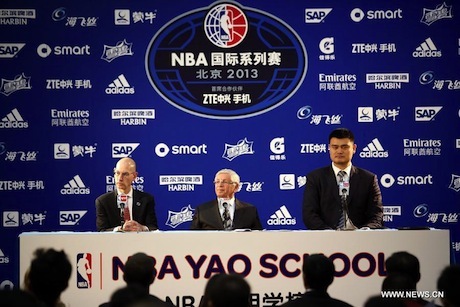 On October 15th he held a press conference in Beijing with NBA commissioner David Stern and other head honchos to announce the creation of the “NBA Yao School” in Beijing. 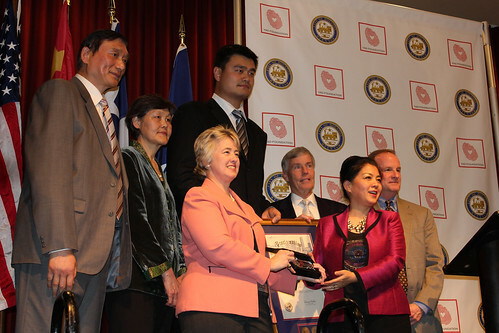 The NBA Yao School, launching in February 2014, will provide after-school basketball training and fitness programs for boys and girls up to age 16 at all skill levels. 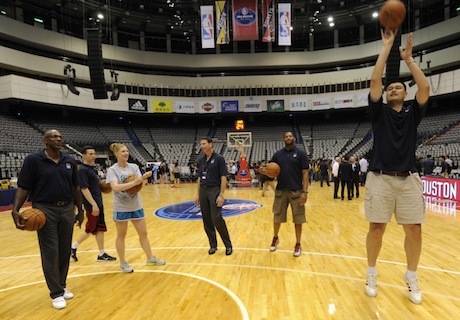 The school aims to teach the importance of teamwork, leadership and communication in a fun basketball environment. 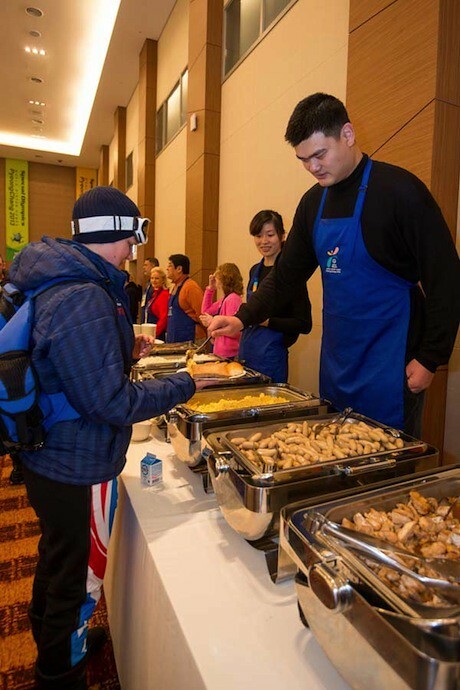 This announcement marks another milestone in the partnership between NBA China and Yao to develop youth basketball and create social responsibility programs in China. 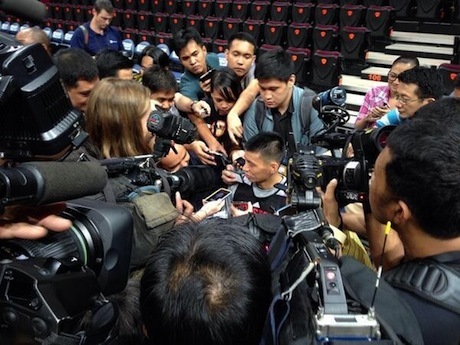 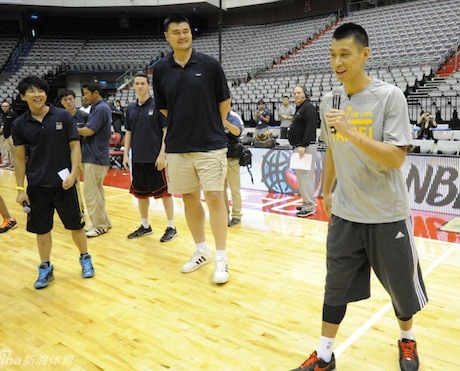 For more details about the NBA Yao School and video from the press conference, click here. 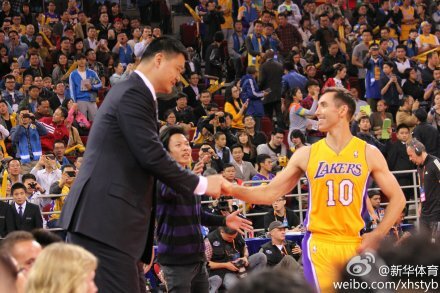 After the press conference, Yao attended a preseason game between Golden State and the L.A. Lakers in Beijing. 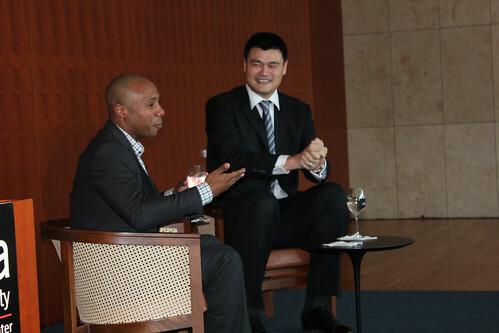 Sitting next to him was friend and former Chinese teammate Sun Yue. 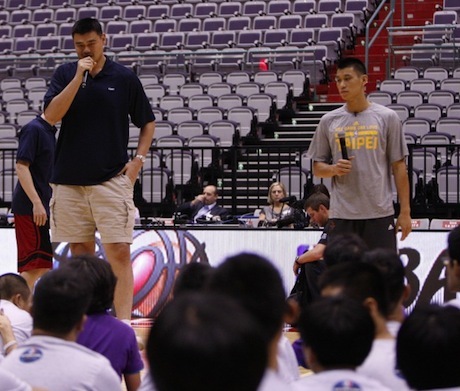 A couple of days later, Yao went to join the LA Lakers at an NBA Cares activity as well as an Open Day fan gathering at the Shanghai Oriental Sports Centre. 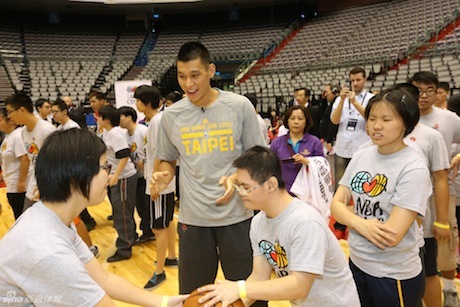 Just like in Taipei, the target group for the NBA Cares activity was also 60 kids from the Chinese Special Olympics team. 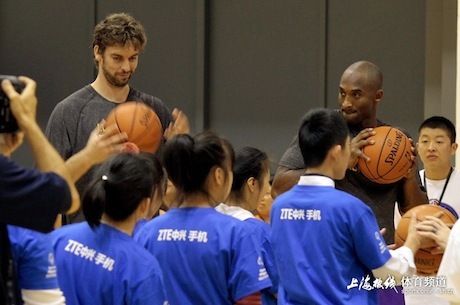 Kobe Bryant, Pau Gasol, Steve Nash and all the LA Lakers players were there to teach the kids basketball fundamentals. 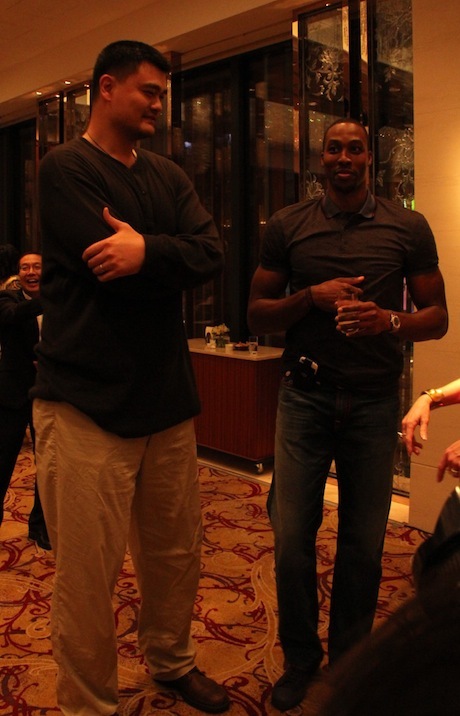 Click here for more photos of Yao with Kobe, and other pics from the NBA Cares event in Shanghai. 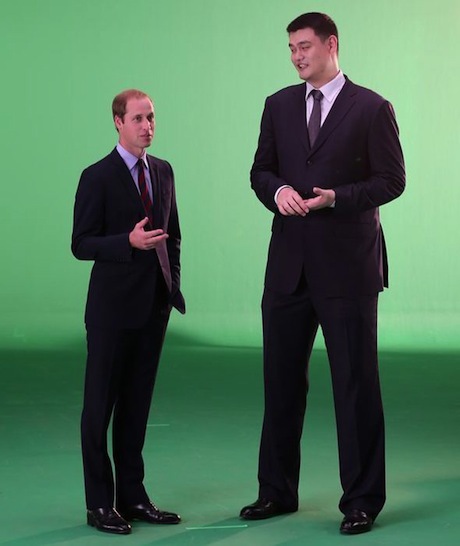 Thursday was Yao’s 33rd birthday, and he spent his day filming part of a public service announcement (PSA) in London with Prince William and David Beckham to campaign against illegal wildlife products. 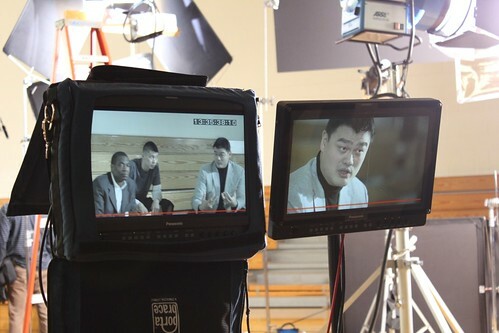 “When I learned of the current poaching levels in Africa, I immediately agreed to help get this message out. 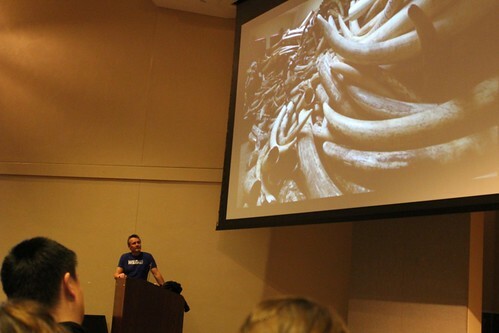 “We must reduce demand if we are going to save these animals. 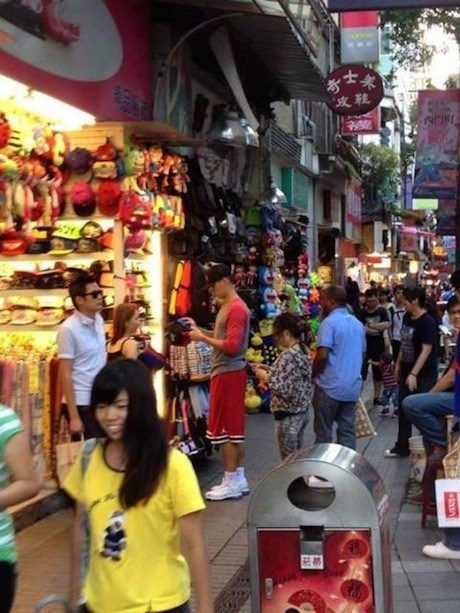 “We made tremendous progress reducing demand for shark fin soup through a similar campaign and a government ban at banquets is also helping. 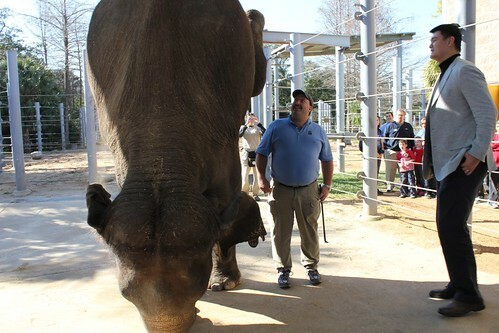 “It is unfathomable to imagine a world in which children who have been born in the past couple of months may grow up in a world in which rhinoceros have ceased to live in the wild. 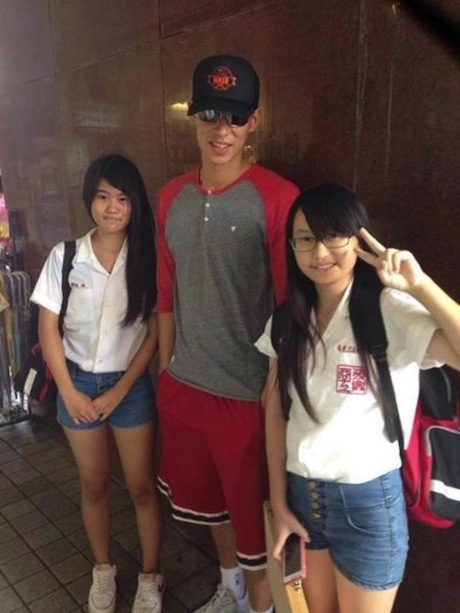 “The possibility of extinction is bad enough for one of our children growing up here in the West, who will never experience the magic of seeing a rhino; or even for my own little George, who Catherine and I very much hope to introduce to east Africa – a place we know and love – in the fullness of time. 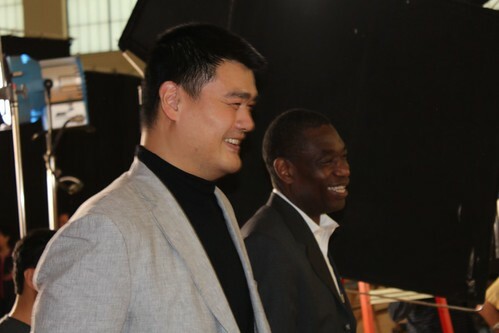 After the filming in London, Yao flew to Kenya to continue filming PSAs for WildAid. 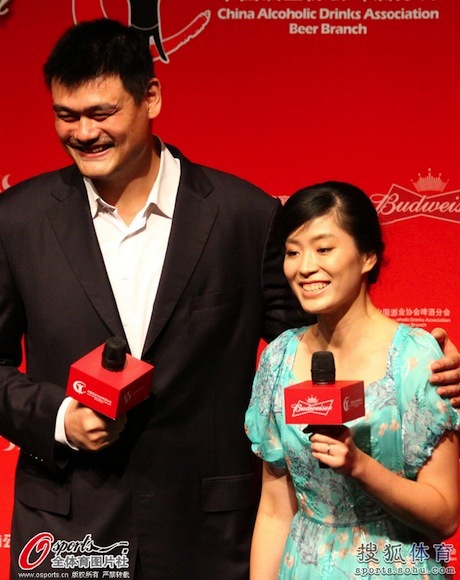 A couple of weeks prior, Yao and his wife Ye Li participated in another public service event when he attended the premiere of a short film that they appeared in to warn the public against driving under the influence of alcohol. 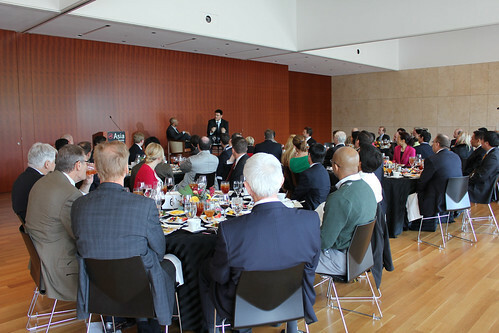 Click here for photos from the event. 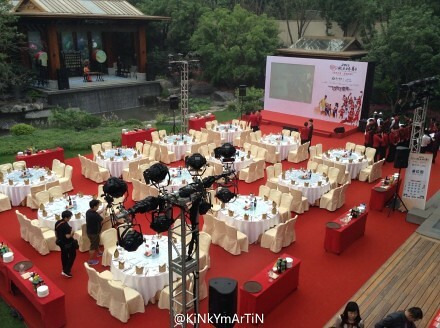 The film was produced by the Shanghai Municipal Public Security Bureau Traffic Police Corps, Chinese Wine Association and Anheuser-Busch InBev together. 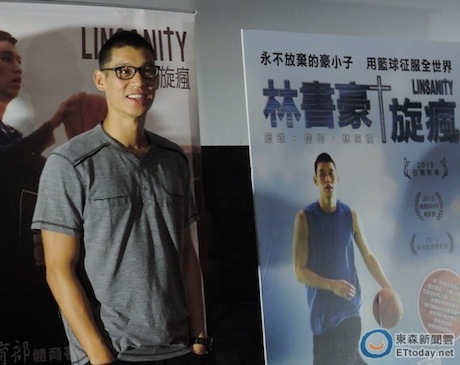 What impressed Yao about his wife Ye Li in the film was not her acting ability, but the fact that she looks so great wearing makeup in the film, which she rarely has to do in her everyday life. 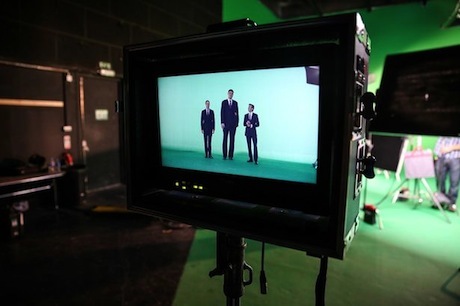 Click here to see the short film. 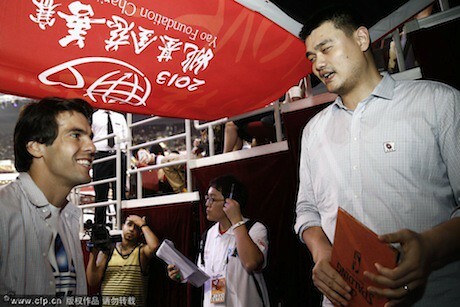 On Monday night in Beijing, Yao’s Foundation had another charity game (more details of who it benefits are here) where NBA players like Joakim Noah, Luis Scola, Metta World Peace, Kyle Lowry, Ricky Rubio and others played the Chinese National Team. 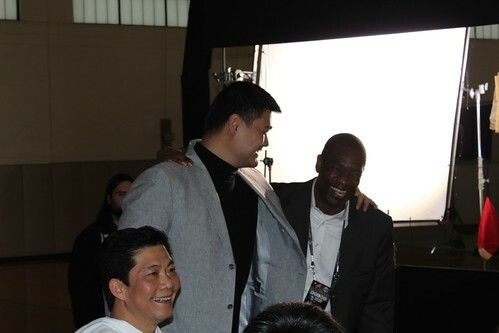 Published reports like this one revealed that Yao called Noah and MWP personally, not an assistant, to invite them to play. 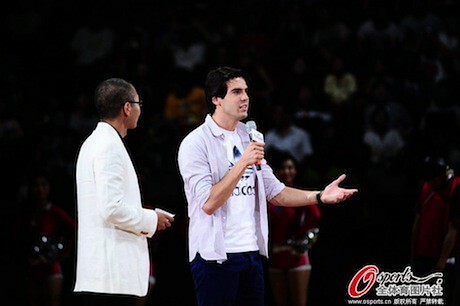 Below are some photos from the night. 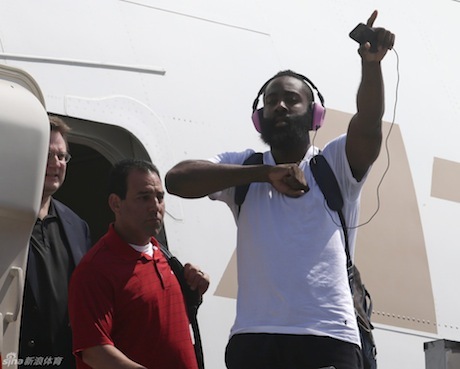 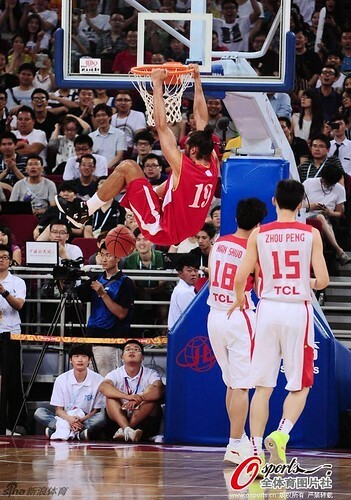 Here’s a video that recaps some of the game, and Slam Online‘s coverage of the game. 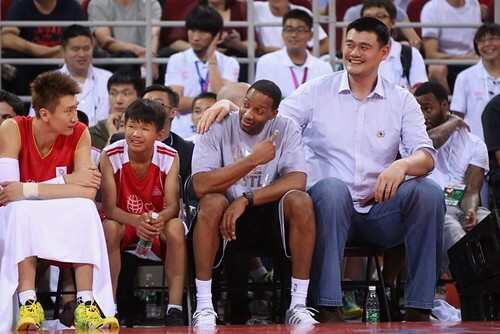 Tracy McGrady happened to be touring in China and had just flown in from Changsha, so he was too tired to play, but he did act as the “assistant coach” of Yao’s team. 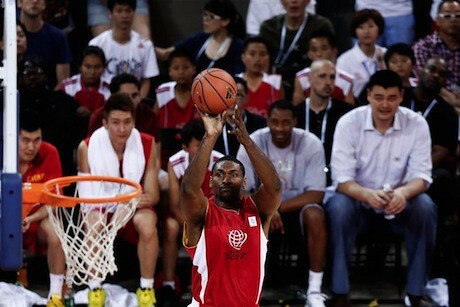 Click here for more photos and details of the game, thanks to Raymond in the forum. 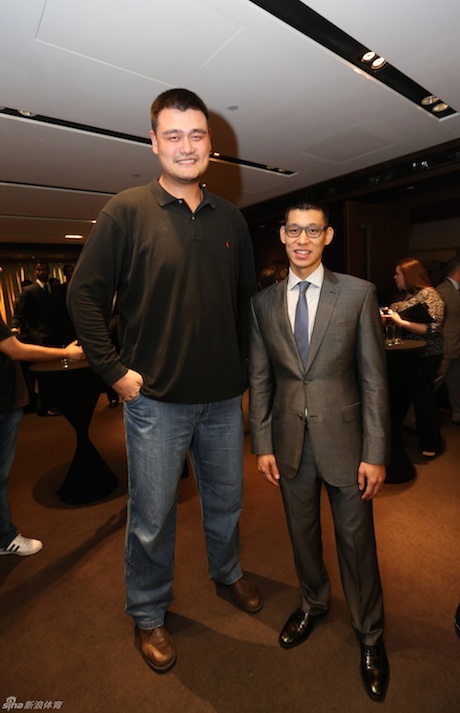 On Sunday night, the night before the game, Yao held a charity gala event sponsored by the Thaihot Group, a conglomerate in residential and commercial real estate development, chemicals, mining, finance and securities, and bio-medicine. 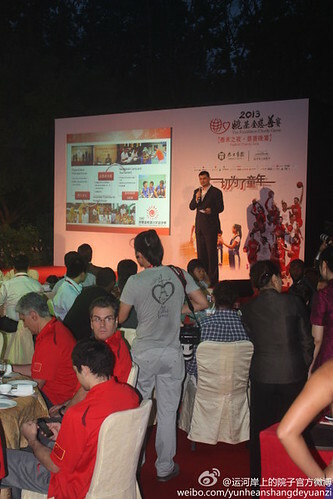 The charity gala was held outdoor in Thaihot’s mega-project Courtyards by the Canal. 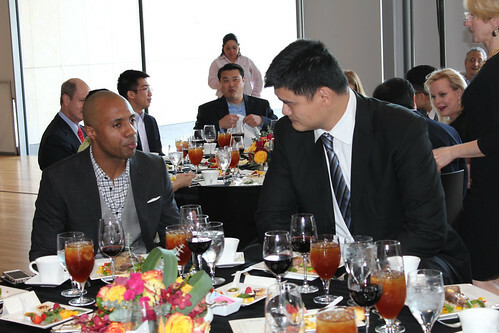 Click here for more photos of Yao and other NBA players at the charity gala. 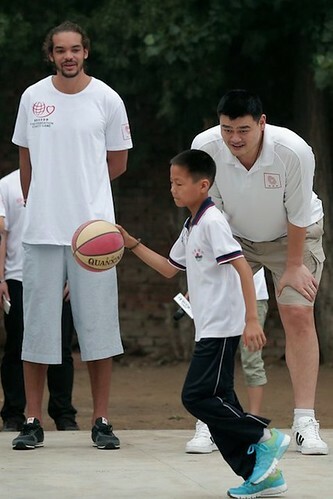 Earlier in the day on Sunday, Yao and Joakim Noah visited a primary school for children of migrant workers in the Changping District in Beijing. 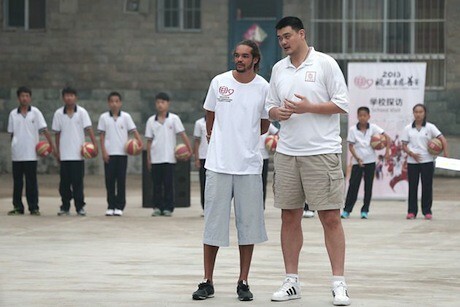 Yao and Joakim split themselves up into teams with the school children to see which team could make the most layups. 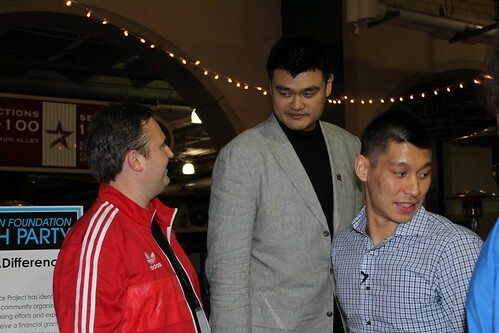 Yao’s team lost, so Yao had to pay up on a bet and do push-ups. 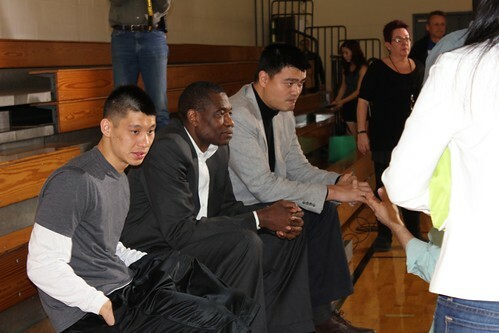 Click here to see more photos of Yao and Joakim’s visit to the school, and here for a video of some of their visit. 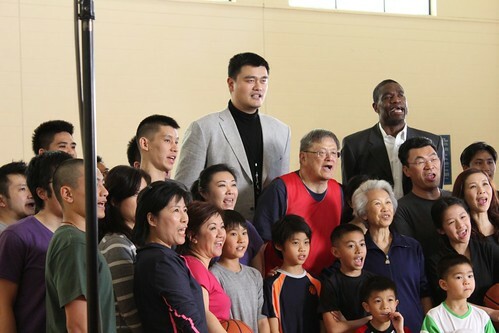 Yao’s wife Ye Li and daughter Amy also visited the primary school with Yao and Joakim. 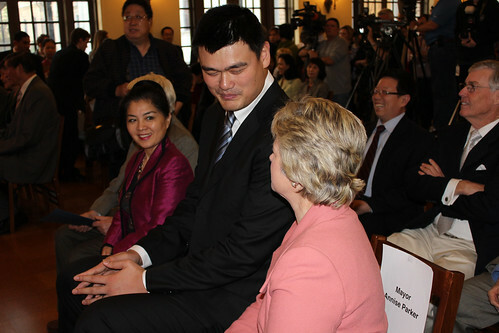 Click here for lots more photos of Yao’s wife and daughter. 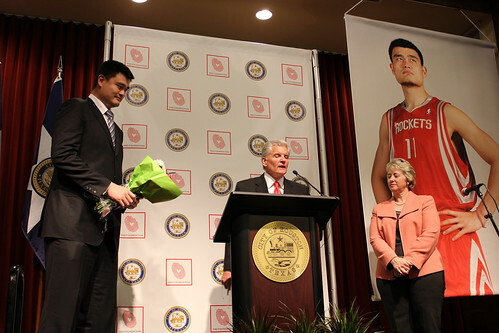 Before the weekend’s events, the Yao Foundation had a drawing for all ticket buyers where the winner would get their tickets delivered personally by Yao Ming himself. 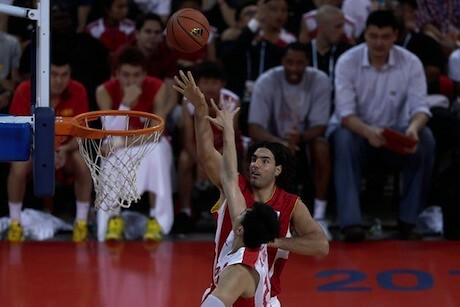 That’s exactly what happened on Thursday, June 27th. 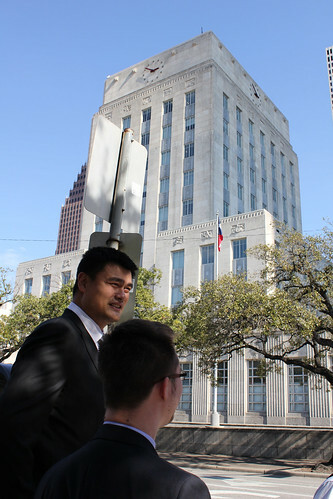 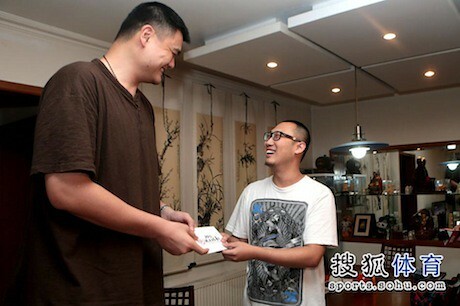 Check out the photos of below of Yao delivering the tickets and visiting with the winner. 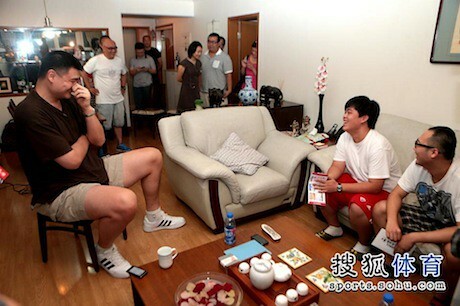 Click here for more photos of Yao visiting the winner of the tickets in his home. 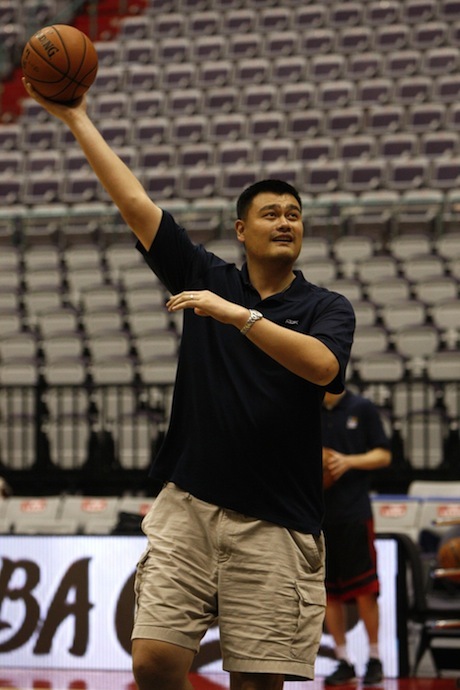 The Yao Foundation will be holding another charity game this coming Monday, July 1st in Beijing at the Mastercard Centre, where the 2008 Beijing Olympic basketball games were played. 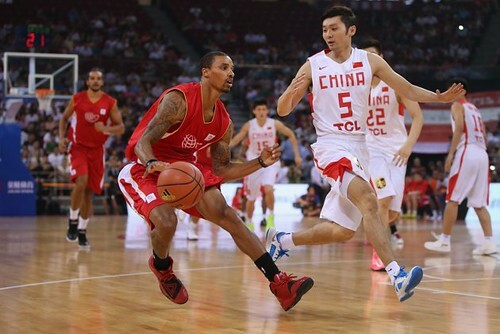 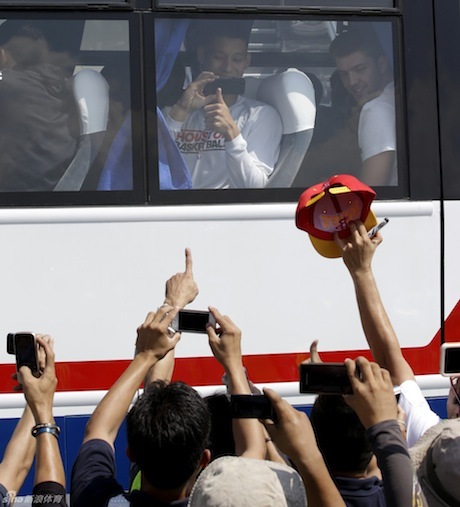 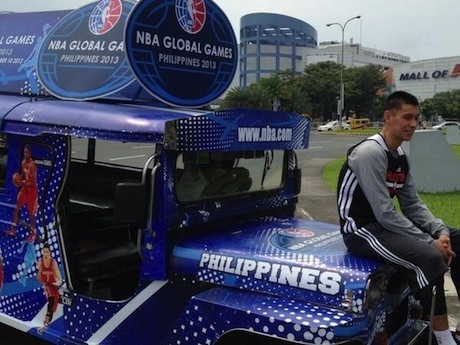 So far five NBA players have committed to playing in the game against the Chinese National Team as the Chinese prepare for the 2013 FIBA Asia Championship to be played in Manila in early August. 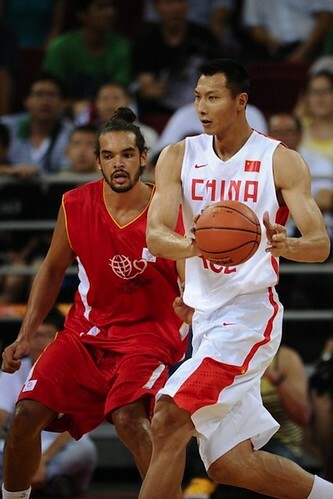 The NBA players who have committed to play on the “Yao Foundation” team are Joakim Noah, Metta World Peace, Kyle Lowry, George Hill, and Luis Scola. 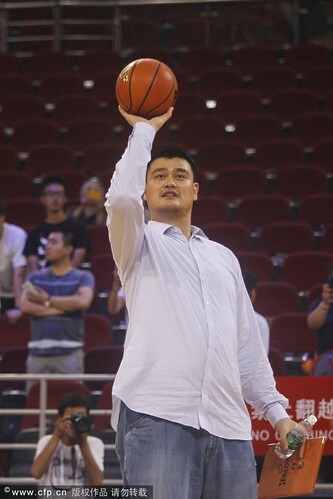 You might remember that the Yao Foundation hosted two charity games 3 summers ago, one game played in Beijing and the other game in Taipei, which turned out to be very entertaining and successful in raising money to fund Yao Foundation charity initiatives. 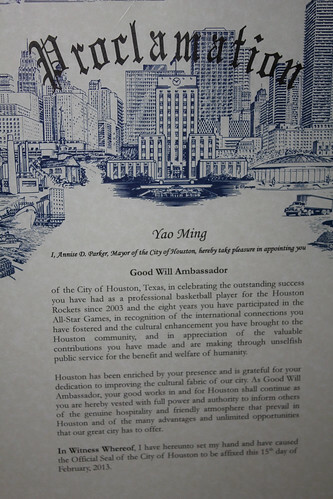 The proceeds of this charity game will fund this year’s “Yao Foundation Hope Primary School Basketball Season” project, as well as funding the travel and expenses of school children of the Hope Primary Schools in poverty-stricken areas (and the Ya’an earthquake stricken area) to participate in the Yao Foundation Hope Primary School basketball season. 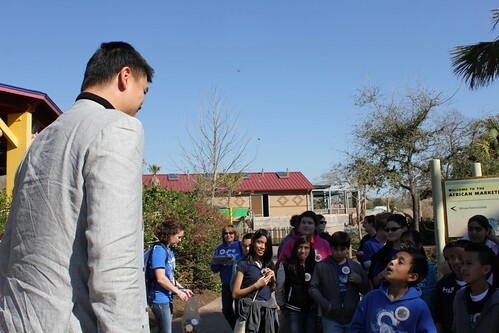 As mentioned earlier today (Thursday), Yao went to the Houston Zoo Thursday afternoon as part of his continuing effort to educate young people about the importance of caring for endangered species and animals native to Africa. 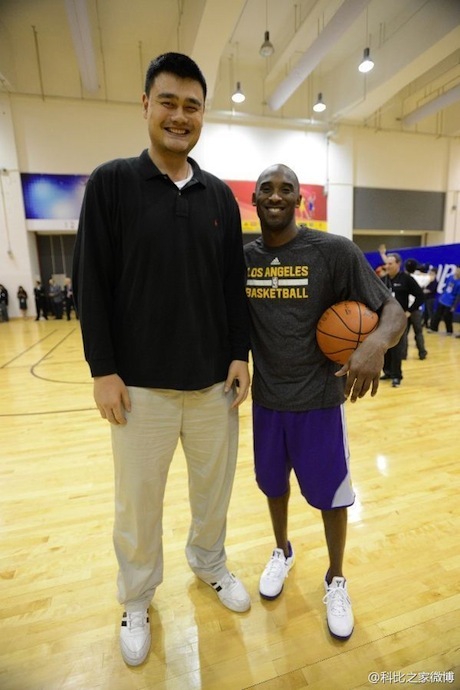 Below is a pic of Yao meeting some of the kids. 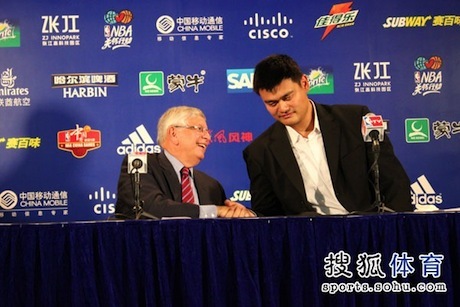 Yao moved on to feed them some lettuce, which they chowed down. 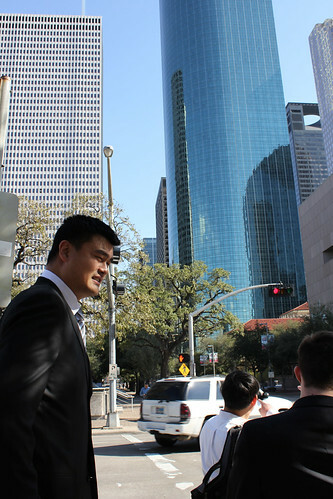 Yao then visited with the kids in front of a rhinoceros, and Yao knew his stuff since he became educated about them when he took his trip to Africa last summer. 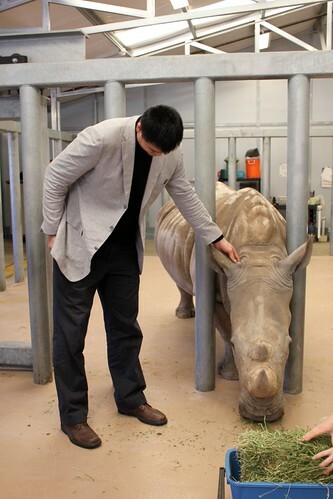 This rhinoceros weighs over 3,000 pounds, but Yao knew that they really liked being scratched behind the ear (the softest skin on their body) like Yao is doing here. 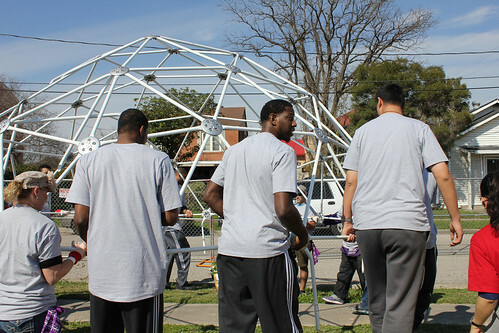 Yao even asked the kids if they would like to come up and touch the rhinoceros in the same spot, and many of them did. 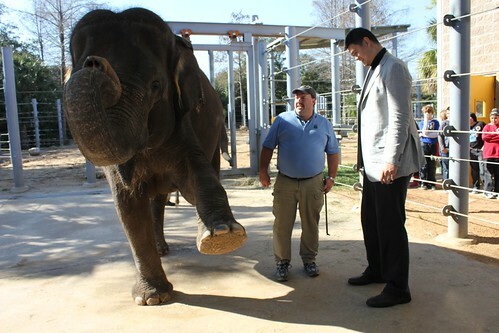 After spending some time with the elephants and the kids, Yao went to a theater in the Zoo to talk to the children about the importance of wildlife preservation, and to watch a trailer for a WildAid film that’s scheduled to be released this Summer that chronicles Yao’s eye-opening trip to Africa last summer. 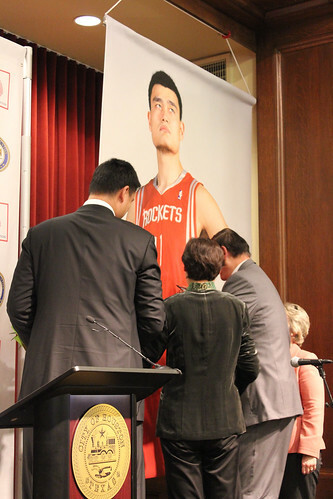 Later in the evening, Yao made an appearance at Jeremy Lin’s Foundation charity event at Houston’s Minute Maid Park (where the Astros play). 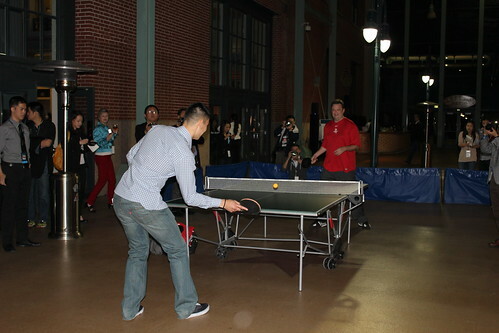 It was a long day for Yao, so after he left, Jeremy and Daryl played a mean game of table tennis. 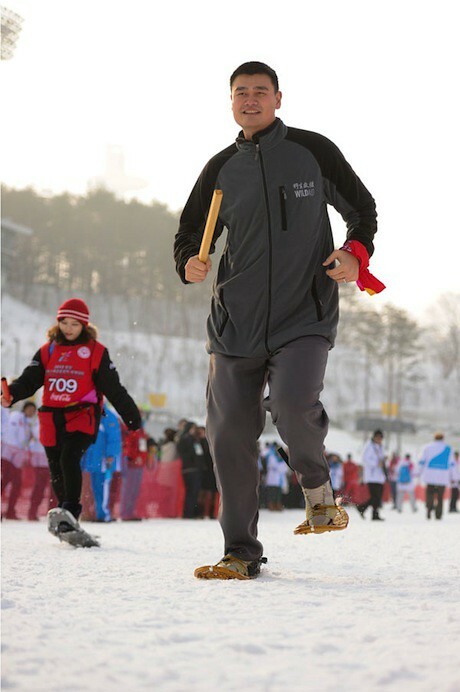 You are currently browsing the archives for the Charity work category.